The only thing missing is the box as the lens is otherwise like new. Macro enthusiasts who also happen to be outdoor photographers will love the creativity, flexibility and peace of mind reassurance offered by Olympus' new Micro Four Thirds system lens in the M.ZUIKO DIGITAL ED 60mm 1:2.8, which offers the 35mm equivalent of 120mm and comes with housing that is splash proof and dustproof into the bargain. Making it perfect for photographing the outdoor world and nature in all its glory, the robust high-end macro lens features silent focusing and true life-size 1:1 magnification as close as 19mm. In fact it offers continuous focusing from this distance to infinity. Whatever you shoot, the imaging potential of the Olympus M.ZUIKO DIGITAL ED 60mm 1:2.8 macro lens impresses. For example it can deliver enchanting circular ‘bokeh' thanks to a 7-blade circular aperture diaphragm, features a practical Focus Limit switch, and thanks to virtually non existent spot flaring it suggests itself as a perfect companion to an Olympus OM-D camera or a digital PEN. It goes without saying that in being an Olympus lens, the M.ZUIKO DIGITAL ED 60mm 1:2.8 is engineered to the highest standard and will delight anyone who expects only the very best, from keen amateur photographers owning Olympus PEN cameras to photo enthusiasts and semi professionals who have purchased a top-end Olympus OM-D E-M5. Not just the performance but also the design of the Olympus M.ZUIKO DIGITAL ED 60mm 1:2.8 is outstanding. This is one very handsome lens that with a filter diameter of 46mm, weighs a mere 185g. 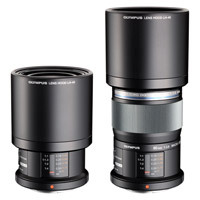 Although a lens for compact Micro Four Thirds system cameras, the quality of the Olympus fixed aperture M.ZUIKO DIGITAL ED 60mm 1:2.8 is such that it delivers a performance on a par with what one might expect from a larger lens on a bigger Four Thirds system E-series camera. What's more, it does it at a much more affordable price. 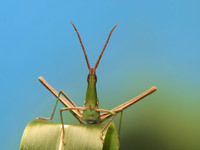 At 19mm and 1:1 magnification, close ups of animals and plants come to life in spectacular fashion, with the lens maintaining high resolution and contrast edge to edge. Don't forget too that the PEN and OM-D series' built-in compact dust reduction system, in the form of Supersonic Wave Filter (SSWF), adds to the lens' performance by eliminating the particles that can otherwise intrude and attach themselves to the camera's sensor when swapping lenses. The SSWF is a transparent filter located between the camera's shutter and sensor. To ensure optimum lens performance whatever the conditions, the Olympus M.ZUIKO DIGITAL ED 60mm 1:2.8 comes with a special multi-layer lens coating which halves the effects of ghosting and flaring in bright light when compared to similar conventional coatings. Worry about your subject rather than the lens; that's the peace of mind provided by the protected housing of the Olympus M.ZUIKO DIGITAL ED 60mm 1:2.8. 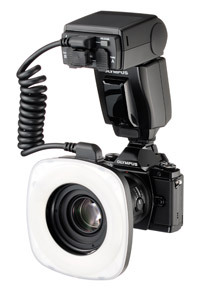 It further offers an internal focus system with floating lenses that is capable of producing equally high image quality when shooting macro, landscapes, portraits, and more, a display for a shooting distance and magnification, a fixed body length internal focus system with MSC mechanism and is technologically sophisticated in every way. Photographers can of course utilise the focus dial to easily change the possible focus range (0.19-0.4m or 0.19m-infinity or 0.4-infinity). On top of this a special display indicates the actual focus distance in order to provide the even more control over your shots. Plus there's the option of an automatic lens hood from among the available accessories, which can slide up and down to reduce flare and protect your lens. 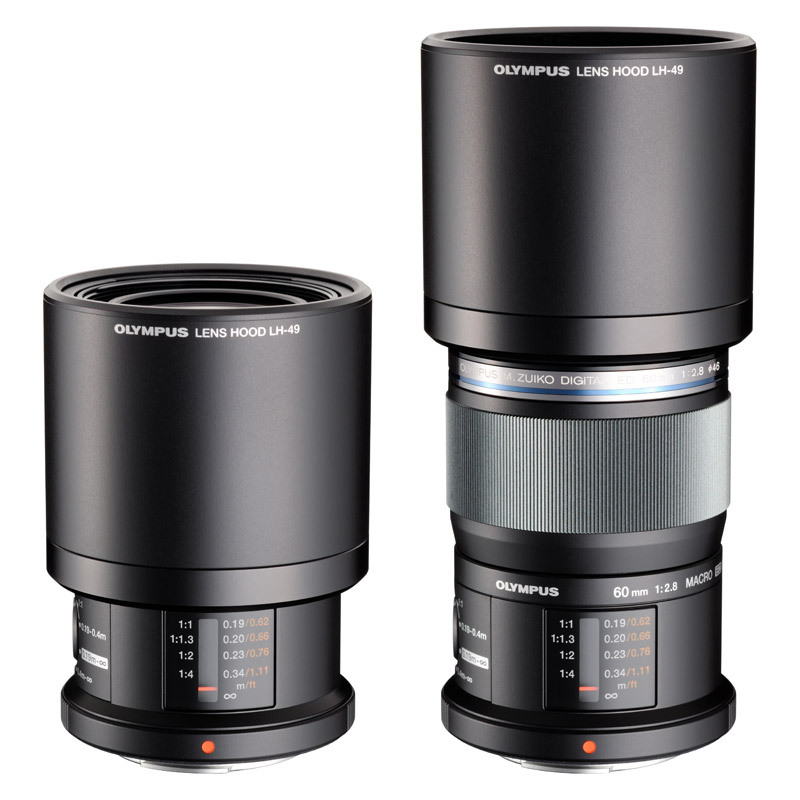 The M.ZUIKO DIGITAL ED 60mm 1:2.8 macro lens is compatible with a host of dedicated Olympus accessories. These include the specialist macro RF-11 ring flash and TF-22 twin flashes (in combination with the optional FR-2 adaptor ring).